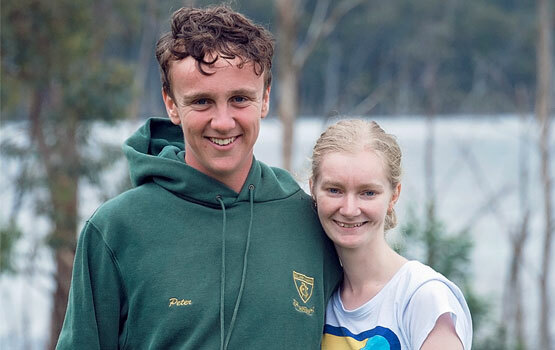 Volunteering with Interchange Gippsland is not only fun, but also rewarding in countless ways. Become a volunteer with us and start making new friends, give back to your community and learn valuable new skills. You’ll look back at the end of the day and be proud of the positive impact you have had on peoples’ lives. Become a recreation volunteer with Interchange Gippsland and join our participants on our fun and exciting day trips, camps or special events. We provide recreation programs for all age groups including children, teenagers and adults with a disability. If you enjoy being out and about, like having a chat and want to give back to your community, our recreation volunteer program is for you! What does a recreation volunteer do? Recreation volunteers support and have fun with people with a disability. Your role includes providing peer support, leading by example and encouraging the participants get involved in activities. Recreation volunteers have an important role in enhancing the social inclusion of people with disabilities and connecting individuals with their community. What type of day programs/trips would I be involved in? Examples of the activities you might participate in as a volunteer include, trips to the snow, trips to the football, horse riding, circus workshops, art days, paintballing, learning to surf, attending the theater or just simply hanging out and having fun. Who is eligible to become a Recreation Volunteer? We are always looking for supportive and reliable volunteers. We invite people from all backgrounds from the age of 14 years to become a recreation volunteer with us. 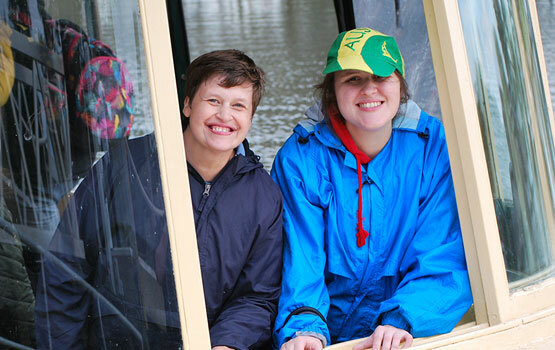 You don’t require any previous experience with people who have a disability, all we ask for is your availability and enthusiasm to provide peer support and participate in the activities whether it be on a day trip, camps or a special event. Please note: under 18 Recreation Volunteers focus on the social support of their peer participants and are supervised at all times by adult staff and volunteers. Teenage volunteers have no personal responsibility for providing personal care support or activity supervision and are accountable to the Program Coordinator or the Team Leaders. Join our Host Volunteer program and help make a difference in a child’s and his/her family’s life, by simply spending time with a child who has a disability. You’ll quickly become their friend and help create experiences, enable the child to engage with your community and provide support to the child’s family. How does the host volunteer program work? We carefully match a child who has a disability with you. Once you are matched with a child, you are able to take care of them for a few hours or a day on a regular basis. Arrangements around actual periods of care are flexible and are discussed between yourself and the family to suit both of your needs. However, Interchange Gippsland encourages regular monthly visits, as this assists the relationship between the child and yourself to develop, so everyone feels comfortable and at ease with each other. How does the Host Matching Process work? You will meet with the child and his/her family a number of times, so everyone gets to know each other. For the matching process to continue, everyone must give their agreement and consent. If all parties agree to go ahead, the parents will provide you with comprehensive information about the child, so that you can provide the best possible care. We encourage open communication between all parties to provide a loving and welcoming family and friendship situation. Depending on the host match the care can either occur in the child’s home, your home or in the community within the Gippsland region. Who is eligible to become a Host Volunteer? We are always looking for supportive and reliable host volunteers. We invite people from all cultural and religious backgrounds, lifestyle and relationship situations over the age of 18 years to become a host volunteer with us. You don’t require any previous experience with people who have a disability, however, in the interest and for the wellbeing of our participating families we do require a range of checks that may include a CrimCheck, reference checks, home check and a Working with Children clearance. All our host volunteers receive valuable training and support from their dedicated Host Program Coordinator. If you are passionate about empowering people with a disability, we would love to hear from you! Interchange Gippsland is a ‘Child Safe’ organisation. We are committed to the safety and wellbeing of all people accessing our service and support the rights of the child and vulnerable people. We will act without hesitation to ensure that a child safe environment is maintained at all times. We adhere to Child Safe standards in the development and production of all our promotional material and newsletters, recruitment documents (including advertisements and application forms) and in electronic communication media involving our internet, intranet and social media pages. All employees and volunteers on all our program must have satisfactorily completed the screening.